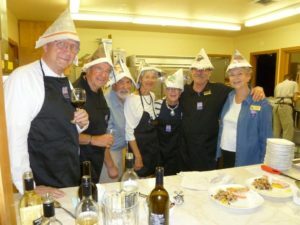 Hats Off to Our Board! 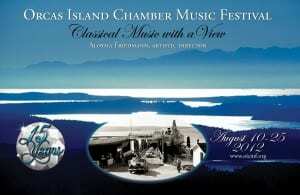 The Orcas Island Chamber Music Festival Board takes the cake – and serves it up, too! During the Summer Festival, the artists are treated to wonderful post-concert dinners created by guest chefs. 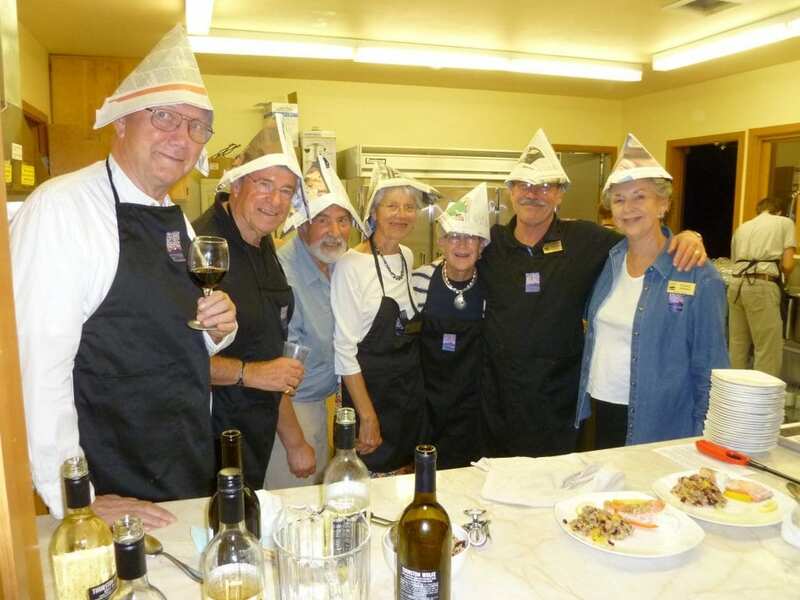 Following the exhilarating “Inspired by Paganini” concert, the chefs were members of the OICMF Board, sporting Wall Street Journal newspaper hats. With a menu inspired by Board member Win Rhodes, the dinner started on a high note with garden-fresh zucchini soup, followed by poached salmon, an orange and pecan grain salad and Asian chicken in a lettuce wrap. Using fantastic produce and fresh ingredients from Orcas Island, it was a meal fit for world class musicians! For their dedicated hard work, from the boardroom to the kitchen, we’d like to say thank you! The Early Bird tradition calls dedicated Chamber Music Festival devotees to a dawn event inspired by the desire to purchase summer Festival tickets as early as possible! Patrons arrive with the morning light, receive a sequence number plus piping hot coffee, homemade cakes and breads served while they await their concert and seat selection moment. Seasonsales are launched at 8AM on Wednesday, May 23rd. 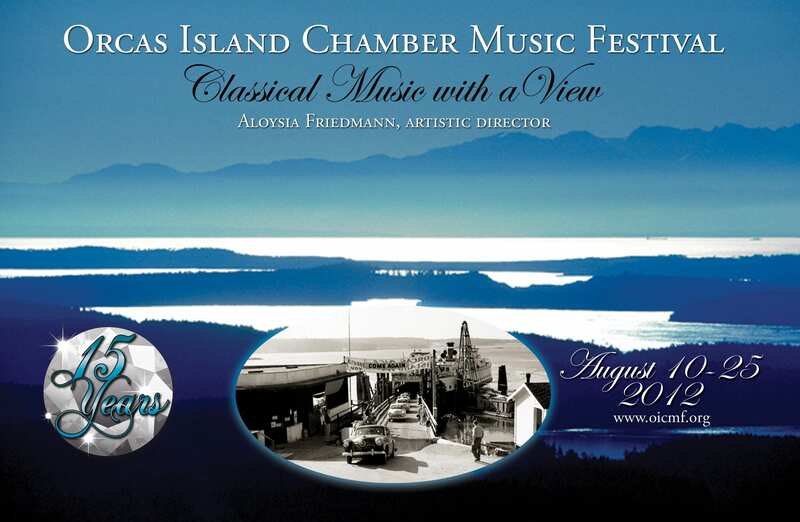 The momentum for the 15th Season of the Orcas Island Chamber Music Festival, August 9-25, began on April 18th for donors of $500+ and now opens for all. Click the papaya-colored Ticket Sales Button for on-line access beginning at noon on the 23rd. 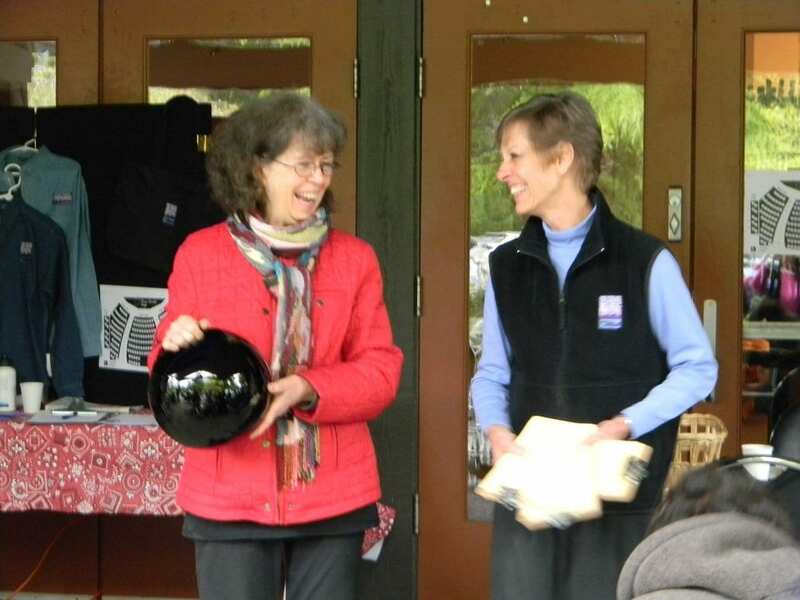 On May 7th and 9th a host of volunteers prepare the mailing of 1,300 Season Brochures to the Chamber Music Festival’s patrons and donors on Orcas Island and world-wide. Arranged in calendar format with repertoire, performing artists, and Festival social events noted, the brochure is a Festival-goers best friend. Want one? Call or write!